The Dubrovnik flotilla offers a charming mix of Croatian islands and mainland harbours and now also includes a brand new Montenegro route capturing the breathtaking fjord of Kotor. The Dubrovnik flotilla has been increasingly popular since its appearance in 2016. Start and finish your flotilla sailing holiday at the world famous city of Dubrovnik. Our base in the marina is situated at the end of the Rijeka (“river”) Dubrovačka inlet, very well protected and a great place from which to start your flotilla holiday in Croatia. If you arrive early, why not take a trip into the UNESCO World Heritage old town, which dates back to the 7th century. One week the flotilla sails north to the islands of Mljet, Lastovo and Korcula, all offering some fantastic harbours and anchorages. The next week the flotilla will sail south into the stunning fjord of Kotor in Montenegro. 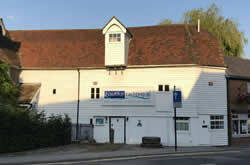 Choose which route you prefer or why not have the best of both and book a fabulous two week flotilla! 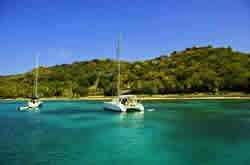 Croatia and Montenegro have ideal conditions for a flotilla sailing holiday with reliable afternoon winds. You can expect reliable sunshine and predictable moderate to fresh winds Force 3-5, mainly in the afternoons. Summer temperatures average 26-30ºC. Embark at ACI Marina Dubrovnik. The marina has a restaurant, showers/WC and an excellent supermarket. Welcome punch party on the beach in this beautiful protected bay. Check out procedures from Croatia will also be completed here. Sailing into Montenegro and heading for the luxurious Porto Montenegro Marina in Tivat. You may find yourself wondering if you are in Monaco rather than Montenegro! Well protected and hidden in the depths of a fjord-like river estuary, the historic UNESCO World Heritage old town is crowned by the castle of San Giovani offering stunning views of the Fjord. A lovely town harbour at the entrance to the Bay of Kotor, overlooked by the “New Castle” which dates back to the 15th century! Climb the 300 steps to the old town, with breathtaking views across the bay. We check out of Montenegro and back into Croatia to continue with a day’s free sailing. Return to Dubrovnik for a farewell evening meal. Disembark at ACI Marina Dubrovnik. Routes may vary due to weather conditions & other factors. Welcome punch party on the beach in this well protected bay. The Mljet national park offers much to do - explore the Roman ruins, or hire a bike and visit the salt lakes and the monastery. Korcula town is famous as the birthplace of Marco Polo and is often referred to as "little Dubrovnik". The walled castle on the shore is testament to the Venetians, who occupied this medieval walled city for 8 centuries. Lastovo remains largely unspoilt by tourism, and the beautiful bay of Srivena Luka offers good protection and a picturesque setting. If you would like to burn off some calories, a walk from here to the main town of Lastovo is well worth the effort. Mainland, island, marina, anchorage - all are possible on your free sailing day, just inform the crew of your preference and they will suggest a great stop for you. Mooring fees are not included. These are approximately €2/foot/night. One tank of fuel is included, any extra fuel must be paid for. 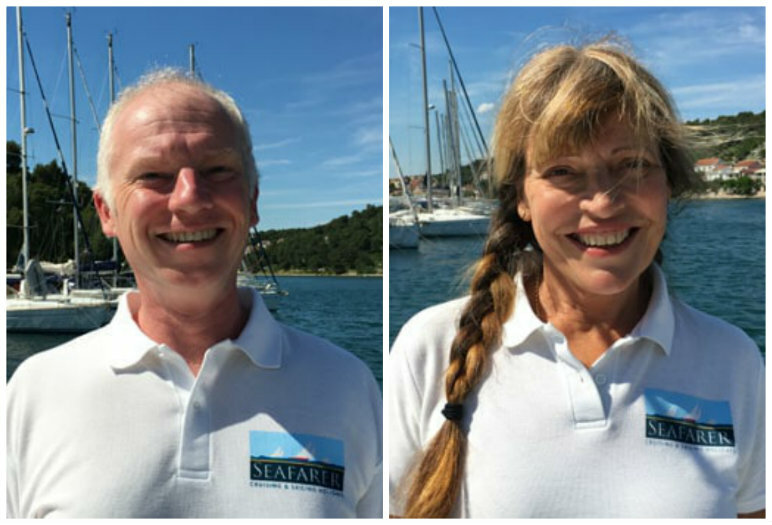 Simon and Wendy lead the Dubrovnik flotilla and are always on hand to ensure you have an enjoyable holiday. Simon is an experienced yachtsman with lots of miles under his belt, including an Atlantic crossing. He pioneered the addition of the Montenegro route and is always looking for the best spots to share with clients. Wendy has worked on numerous flotillas in Crotia, Turkey, Greece, British Virgin Islands and Mallorca and so has first hand experience of some of the world's best sailing areas! BA, EasyJet and Norwegian Air have flights from Gatwick to Dubrovnik. Jet2 have flights from Manchester. Yacht charter rates are shown WITHOUT flights giving you the flexibility to book your own flights. If you would prefer a flight-inclusive holiday Nautilus Yachting is a fully bonded ATOL tour operator and can book flights from the UK to fit your sailing holiday. 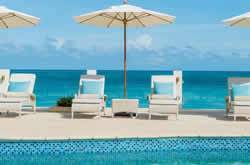 All flight-inclusive holidays are fully bonded for your financial protection under our ATOL 3016. Transfers are not included on this flotilla but can be added at an additional cost. Return airport transfers cost from £40/person. "The boat was fine, Navigare the boat operators were great and efficient, the complete and fully insured package provided peace of mind. The other sailors were all good company and fun. What made this a bit special were your flotilla crew – Helen and Harley. I hesitate to call them skipper and host – co skippers is more befitting, even if it is obvious who wears the trousers! – a great team. Their attitude, help, guidance, commitment and good humour made the week. Nothing was too much trouble. So to them a special thanks from all 10 of us." Trogir Flotilla 2018 - P.C. Dinghy with outboard, welcome pack, welcome punch party, bedlinen & towels, services of flotilla staff, end cleaning, 1 tank of fuel. 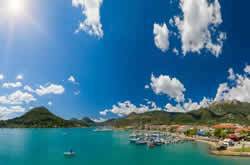 Check in/out fees for Montenegro route - 32-38' yacht €85, 39-41' yachts €97, 42'+ €110.